Copacabana Bolivia Guide - Top Things To Do! Copacabana Bolivia – Top Things To Do! Sometimes it’s nice to find somewhere whilst travelling where there isn’t much to do, having a holiday whilst travelling if that makes sense. 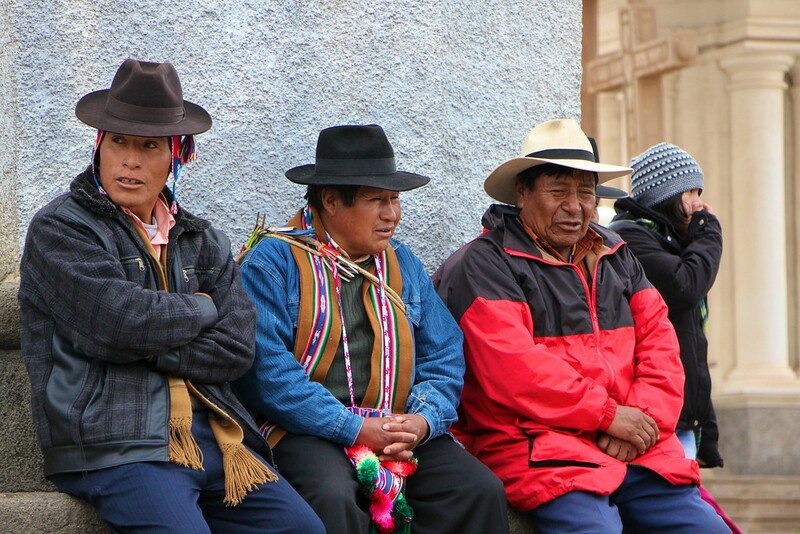 This is especially true for overland travellers working their way through Peru and Bolivia, where it is not uncommon to spend 24 hours on a bus just to move between cities! 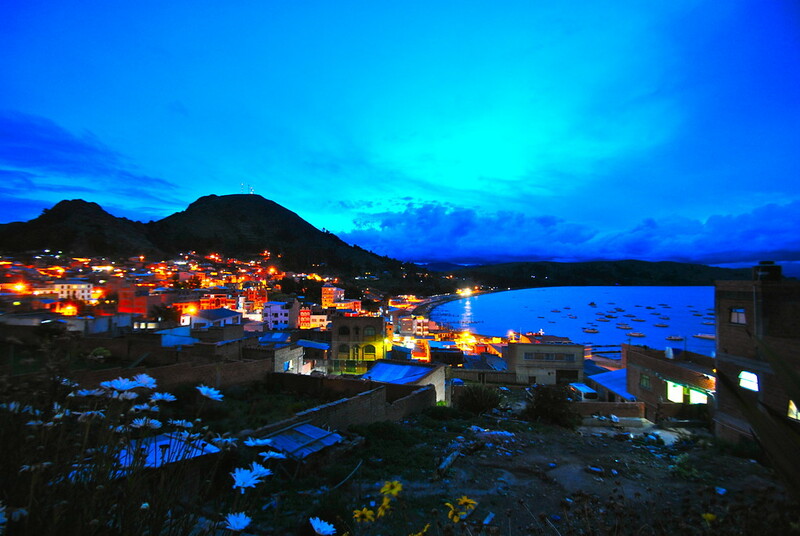 It grows tiresome, but never fear, on the shore of Lake Titicaca lies Copacabana Bolivia! 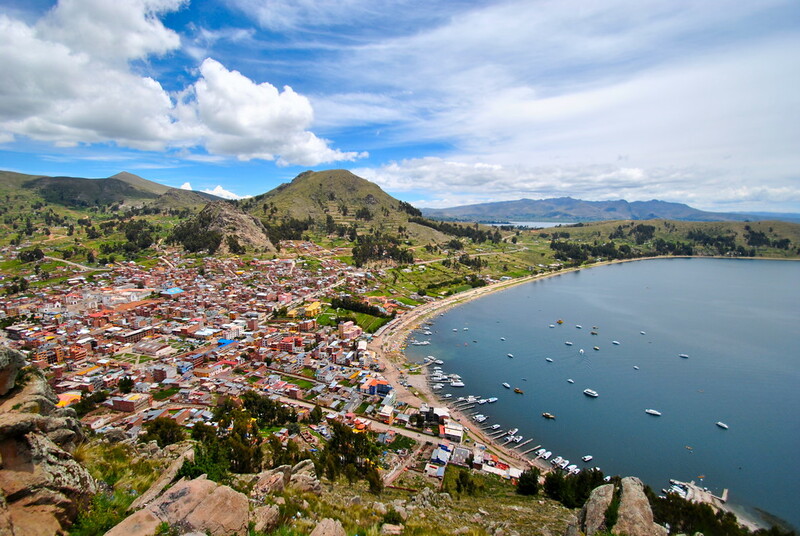 Nestled on the border between Peru and Bolivia lies the small town of Copacabana Bolivia, on the shore of Lake Titicaca, a quiet Bolivian tourist attraction for locals and travellers alike. It is a great place to spend a few days, and thankfully not a Barry Manilow tribute in sight. 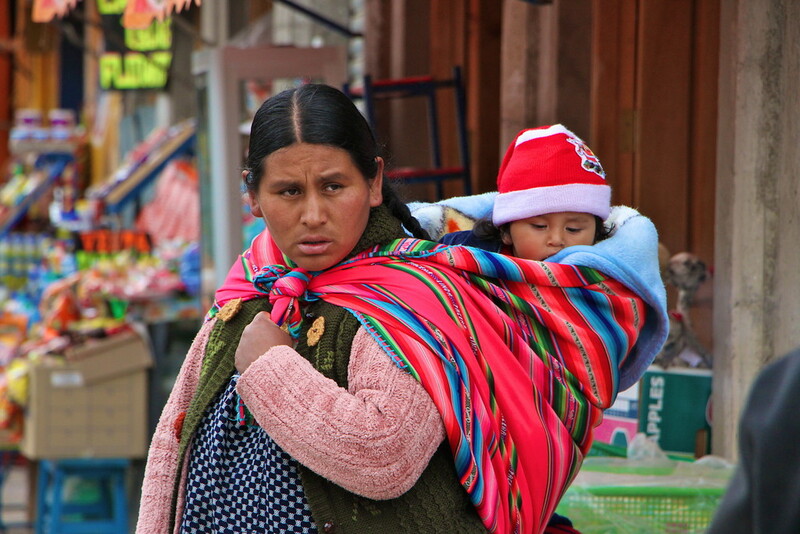 With precious few things to do there, Copacabana Bolivia was a very attractive proposition for two weary nomads. After crossing the border with Argentina to arrive in San Pedro de Atacama, taking a three day jeep journey through the Bolivian salt flats, and travelling the full length of Bolivia, we were in need of a rest! Copacabana was our destination of choice. As our bus negotiated its way around yet another turn, we could suddenly see Copacabana in the distance. Textured, seemingly unfinished orange brick buildings crawled up the steep hills away from the beautifully curved bay of Copacabana. Here it seems is a place for wandering foreigners, selling their cakes and trinkets on the streets alongside local women offering breads and various fruits. We take a walk around, and stumble across an indoor market where locals pile their wares as high as possible all around them, and then try to sell themselves out of their self imposed food based prison cells. 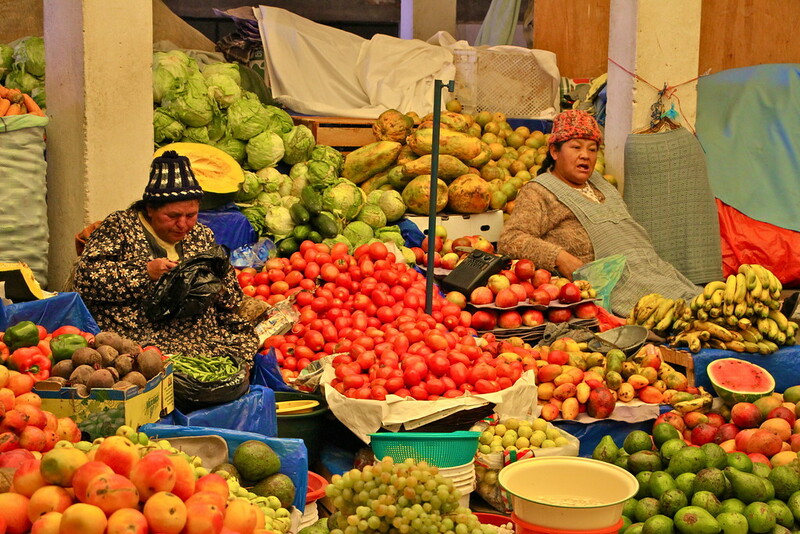 Adorning the circular market are all kinds of exotic fruits piled high, a cacophony of colours surrounding each stall as the local women chatter amongst themselves. 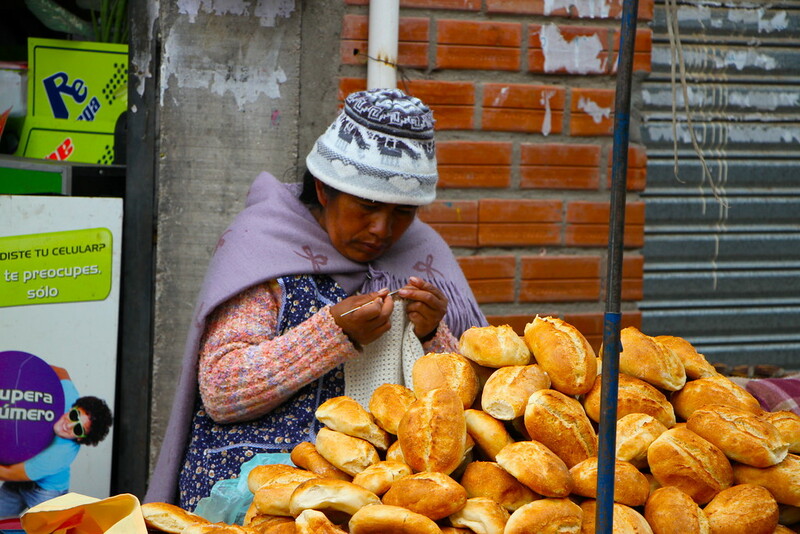 Other stalls offer various breads and different parts of animals, we purchased some bread and head back into the streets. Wandering further, we visited the Basilica of Our Lady of Copacabana, a dominating sight in the small town of Copacabana. Across from the church a group of older gentlemen are dancing in a circle, drinking shots of what we assume to be alcohol and playing their various flutes and guitars as a group of locals look on. We’ve stumbled upon a festival, and watch as our brightly clothed coloured friends dance, sing and generally act as happy a people as we’ve come across on our travels! Whilst your options are limited, there are things to do nearby Copacabana. 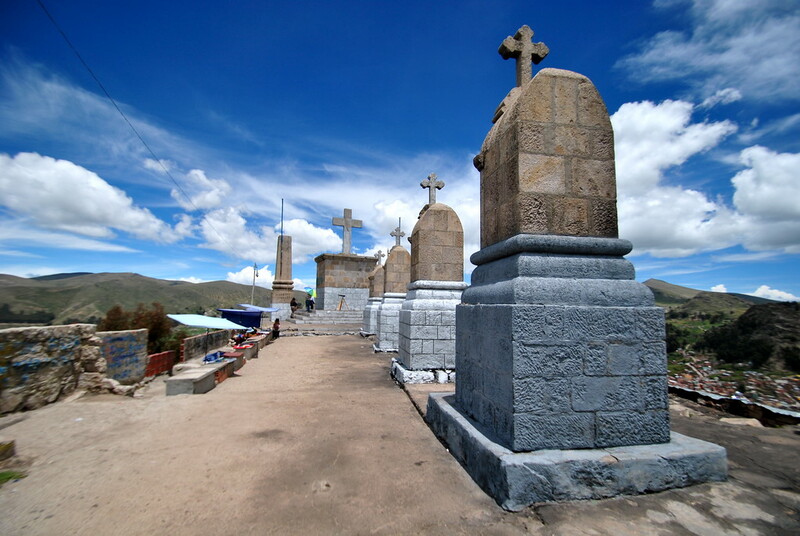 One option is to visit the nearby Sun island on Lake Titicaca, with boats leaving each day from the pier in the harbour. Here you have the opportunity to trek up a couple of hills, visit some ruins and meet some locals. 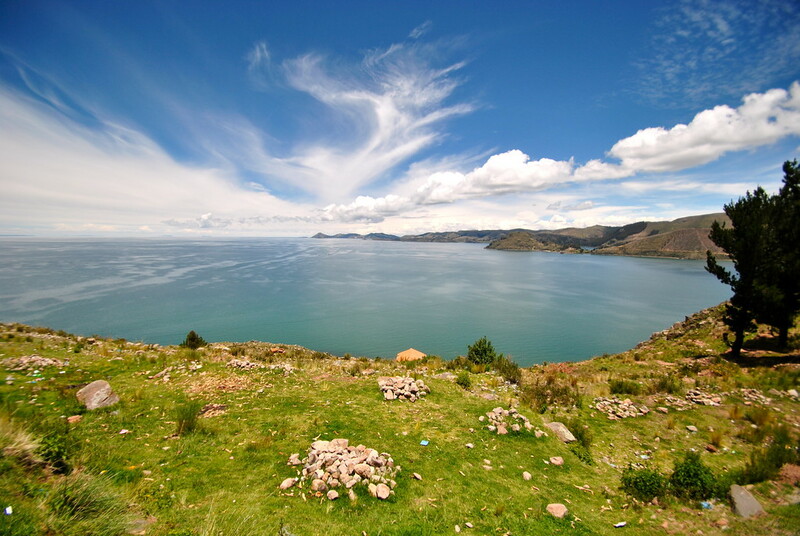 It’s a fairly relaxing day, and the ride across the waters of Lake Titicaca is a welcome bonus. 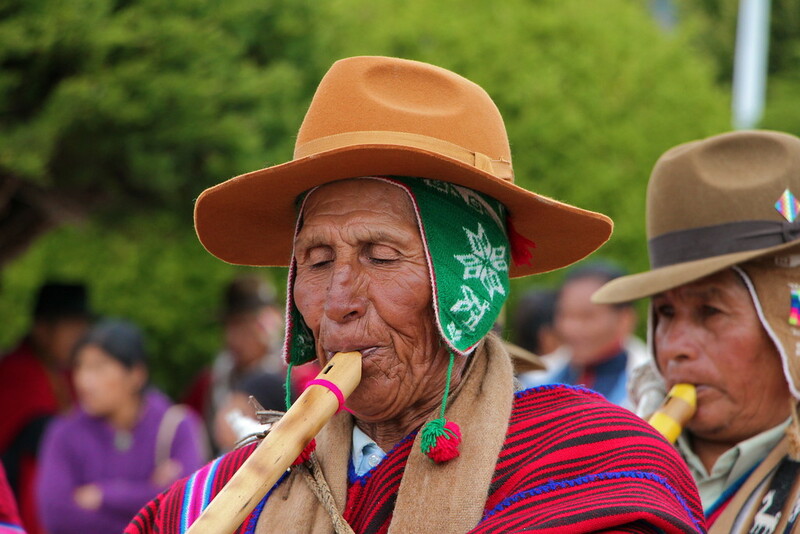 You can also partake in a Bolivian or Peruvian homestay if you like as well, returning the following day. 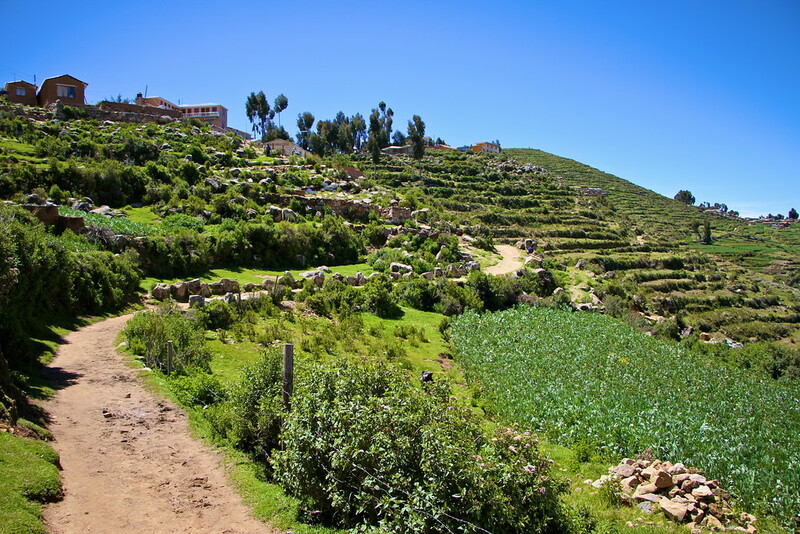 Or if you are more of a land lover, you can hike up to the top of the nearby hill which overlooks Copacabana and has some interesting monuments and fantastic view of the small town and Lake Titicaca itself. Again, well worth the burning knees for the views! In all honesty, we stayed in Copacabana as a stop off point between Bolivia and Peru, but we were so glad we did. It’s not the most glamorous or exciting destination in the world, but its a great place to spend a few days whilst in Bolivia! 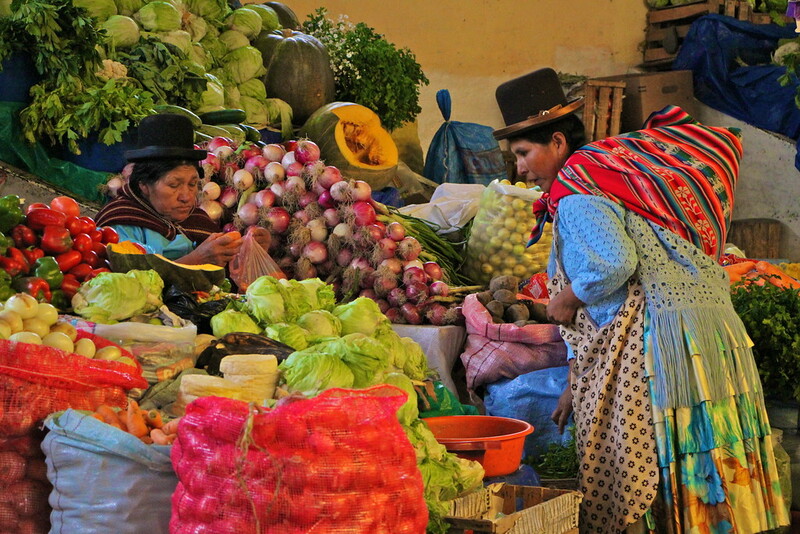 Looking For Accommodation In Bolivia? 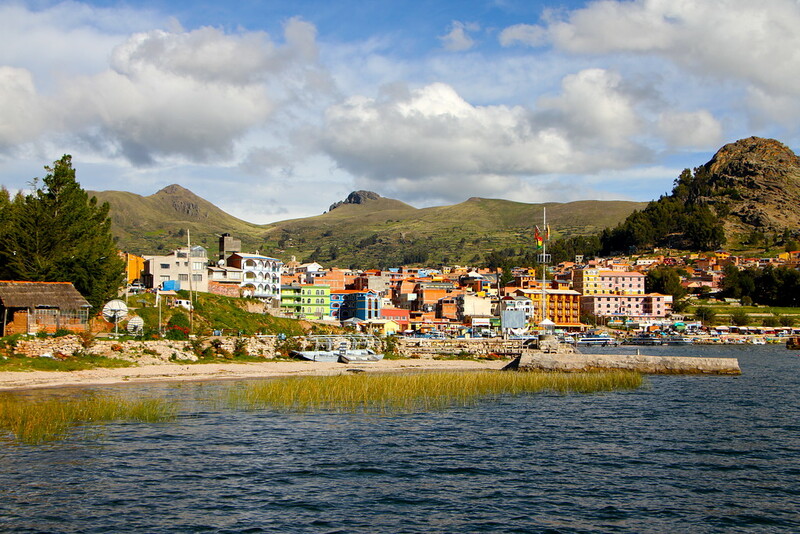 If you’re looking for some accommodation options in Copacabana or elsewhere in Bolivia, we recommend you check out Agoda.com. Whenever we’re making plans for a new destination, we always research the accommodation options first to check what’s available. That’s just our travel style. 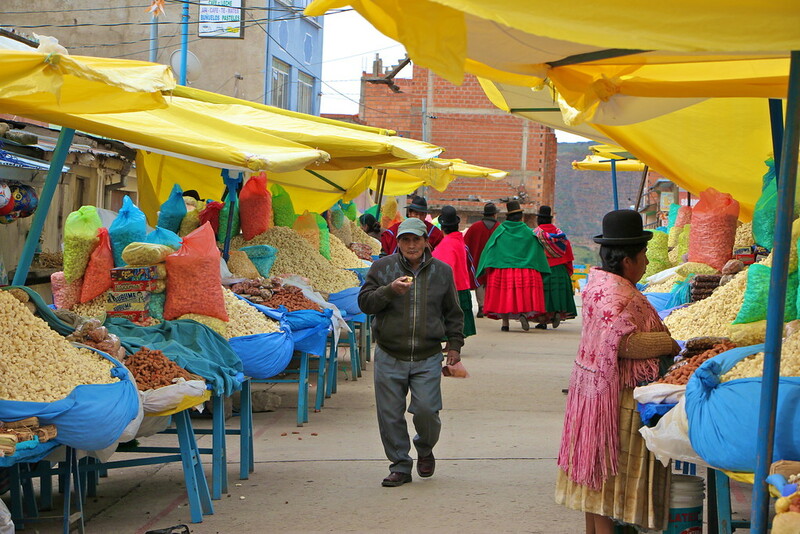 If you want to get some accommodation ideas in Copacabana, or anywhere else in Bolivia, click here! This looks like such a lovely little place. 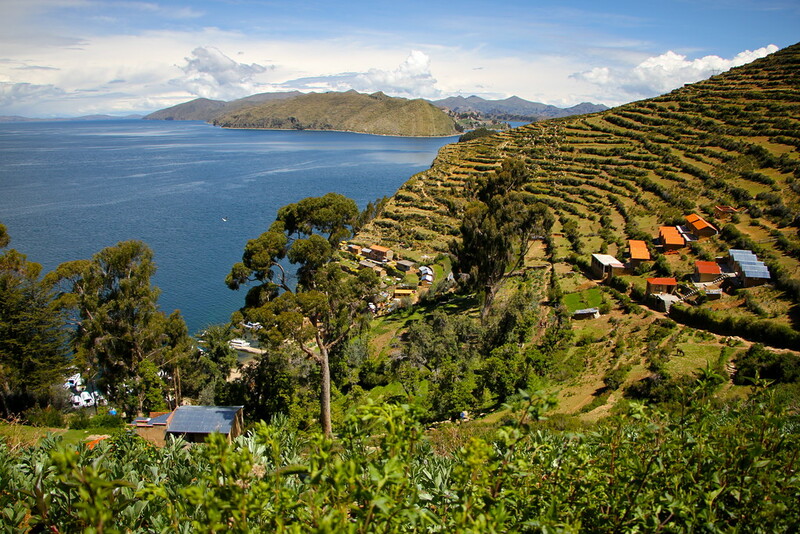 I am thinking of visiting the lake Titicaca next year, so will definitely make a stop at Copacabana. It is a lovely little place Tammy, the trek up the hill is worth it as well for the views! Fantastic Pictures; so beautiful. I have 10 months to go before we hit the road as a family of 3 (my 2 daughters and myself). 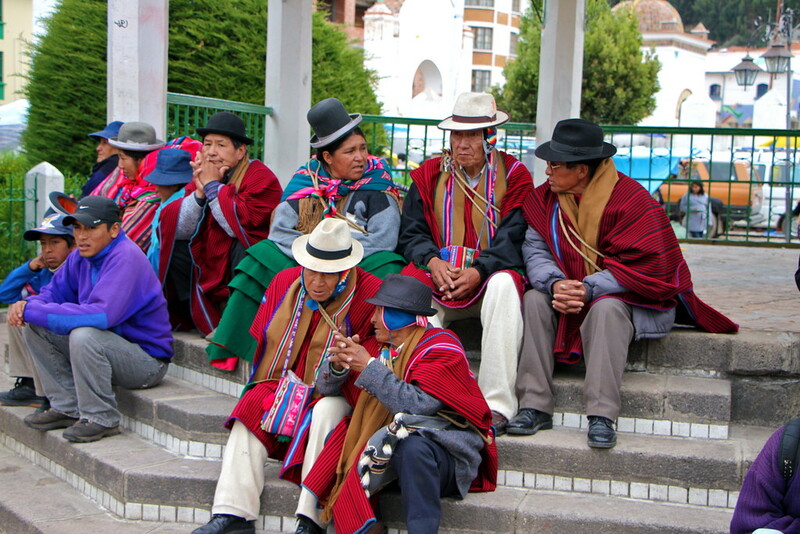 I am dreaming of Bolivia and South America in general where we plan to spend a whole year of our 2 years RTW trip. Reading your articles excite me even more about the trip. Best wishes. Laly recently posted…Do you have to be fit to go on a RTW trip? Thanks Laly! I bet you can’t wait to get started! 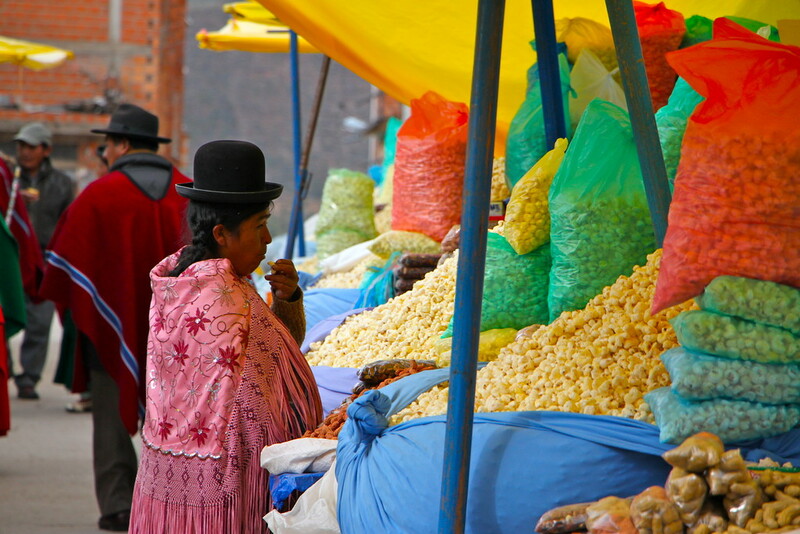 South America is fantastic, where else are you planning to go on your RTW trip?